Every team of Power Rangers was led by the Red Ranger. The Red Ranger was always a guy, except for a few occasions. Power Rangers SPD was the first time we had ever seen a girl be the Red Ranger. Too bad she was actually evil. Then Lauren Shiba came into our lives. For us, getting to see a female Red Ranger made Ranger history. What is your opinion about having a female Red Ranger? 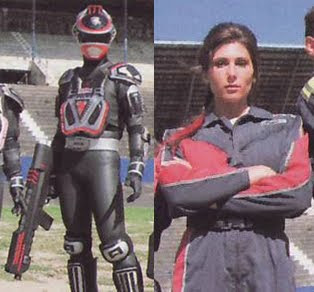 For me, it was a pleasant surprise when Power Rangers SPD brought forth a female Red Ranger for the first time ever, but that historic moment was ruined when Charlie revealed that she and her team were evil and working for Gruumm. From that time on, I waited hoping that there would be another female Red Ranger who could restore the honor of being a girl Red Ranger. Lauren Shiba succeeded in doing so. She was a great fighter and leader, plus she was very kind and determined to stop evil. Although, if we put the Power Ranger world into chronological order, Lauren Shiba is the very first girl to be a Red Ranger, so she carries quite an honor. I hope one day we can see a season where a girl leads the Power Rangers for the whole season. Speaking of Lauren, who has a better first battle? Lauren Shiba or Kaoru Shiba (Lauren's Super Sentai counterpart)? What do you fellow Power Ranger fans think? @PowerRangerPlanet , @NightMere10 , @Dubby	, @sayla0079 , @MattEmily , @vgiannell5 , @Ranger91 , @DekaBlue , @Yanman10 , @PoisonLotus , @EHT30J1981 , @zeorangerboy , @iFresh , @GoldenTurbo , @darkvincentes , @zyusouken , @harsh , @PoisonLotus, @thejim , @mike356 ? So @sayla0079 you're not a big fan of having girls be the Red Ranger? no thunder I like girls being red rangers but between lauren and kaoru I like kaoru better. Ah. My bad. I misinterpreted what you said. Every team of Power Rangers was led by the Red Ranger. That would actually be incorrect since we've had 3 teams that were not lead by Red Rangers. MMPR = Tommy once he became the White Ranger. Alien Rangers = Delphine announced herself as the leader. Time Force = Jen, she was referred to as leader at least once. anyway I like when we have a female Red Ranger and one that is actually good like Lauren's role for Samurai and not evil like Charlie was evil for S.P.D. 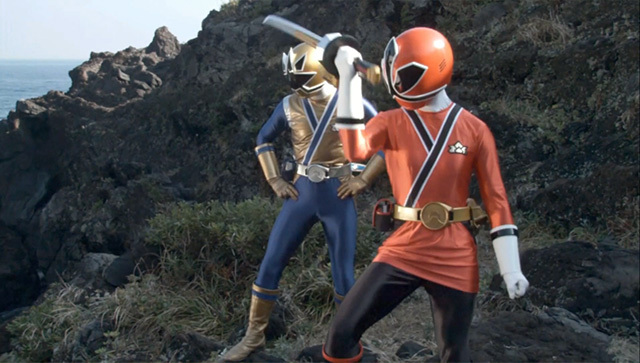 although those were a couple of good twists in regards to the A-Squad Rangers with them being evil and with A-Squad Red being a girl.